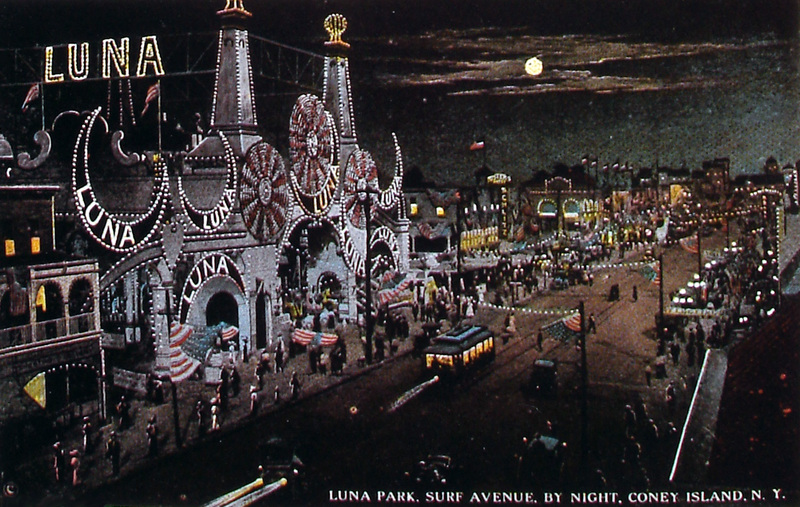 Surf Avenue was Coney Island's main drag and two showmen named Fred Thompson and Skip Dundy, built Luna Park across the street from Steeplechase. 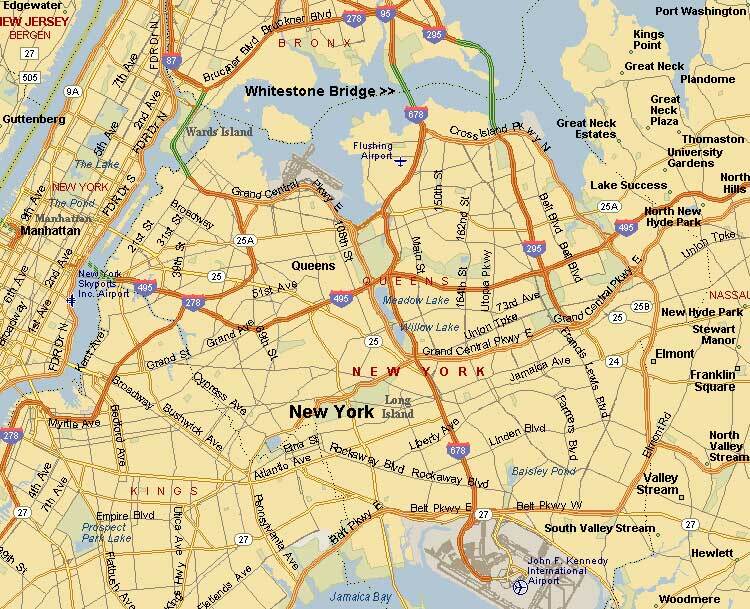 Click on the picture to see a large view. 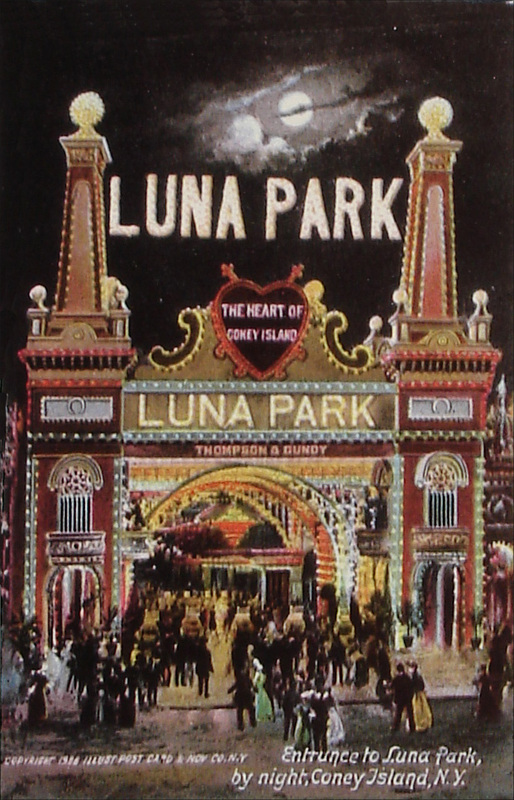 They created a great confection of plaster minarets containing such thrills as a trip to the moon, an undersea ride, and chute-the-chutes that sent riders careering down an incline into a lagoon. 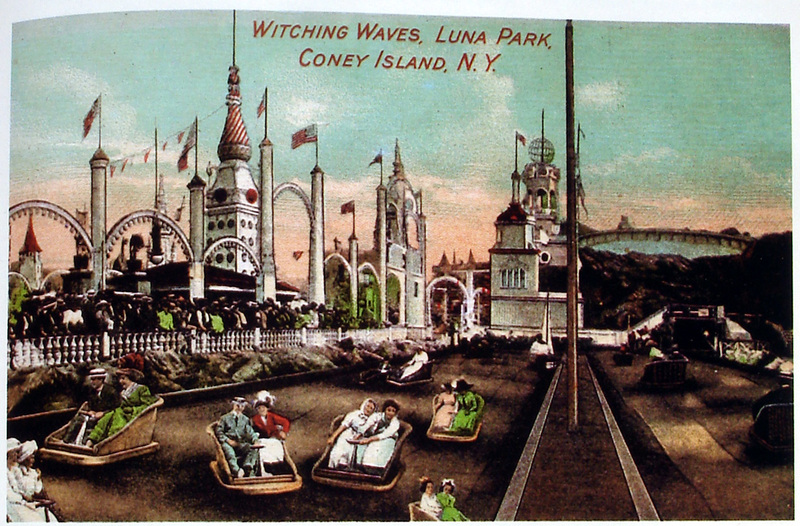 Are these the original Bumper Cars? I'm not sure but I think these were operated by pushing pedals on the floor of the cart with your feet. 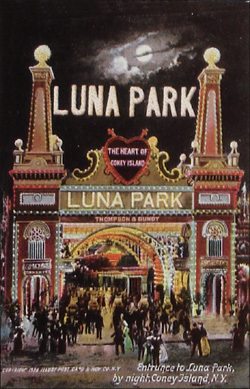 Luna Park Trip To Mars by Aeroplane in Coney Island. 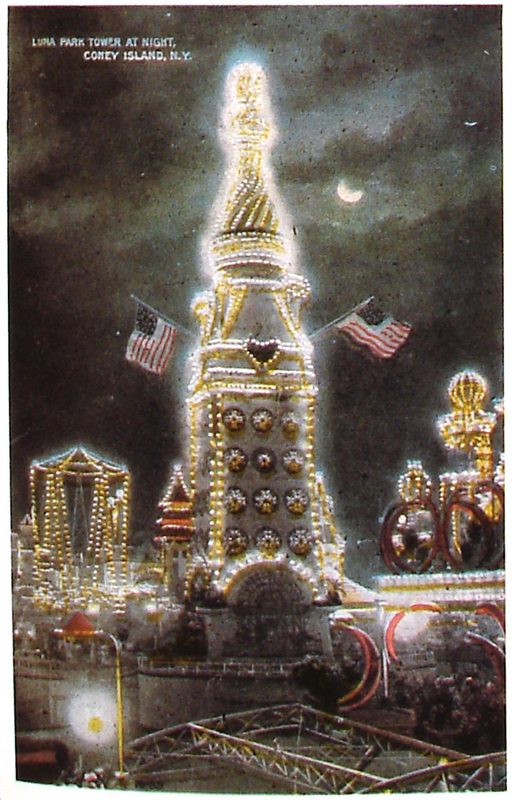 They got this idea from a ride that was showing at the Chicago World's Fair. 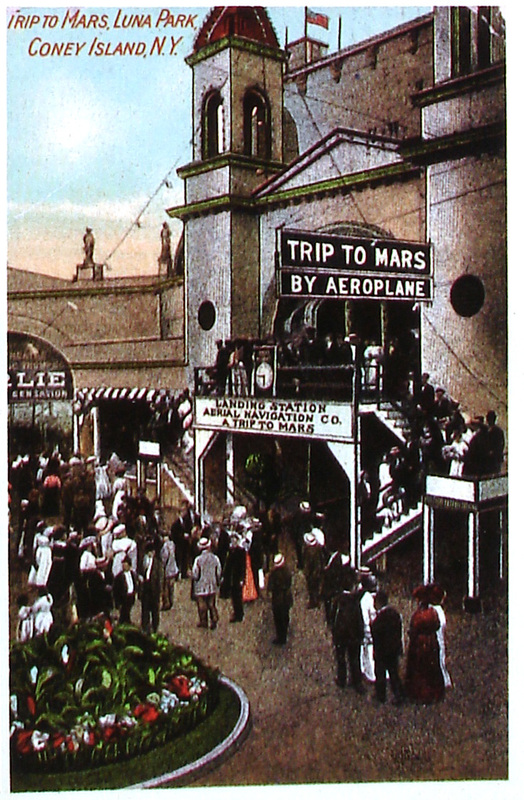 When people would go inside in the dark, they had pictures of Mars on rollers in front of them, and had scenes of Mars, take off, landing, and the trip through space. 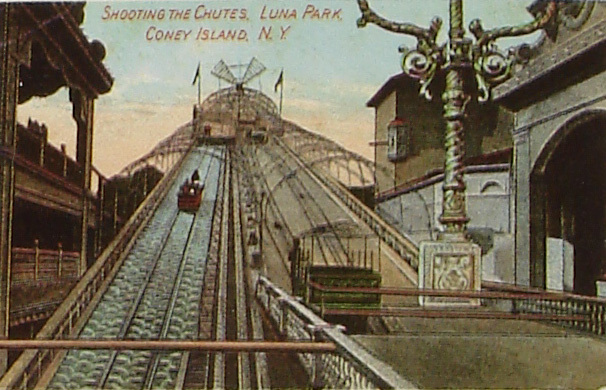 Luna Park built a huge park containing such thrills as a Trip To the Moon, an Undersea Ride, and a Shooting the Chutes, which sent riders careening down into a lagoon. 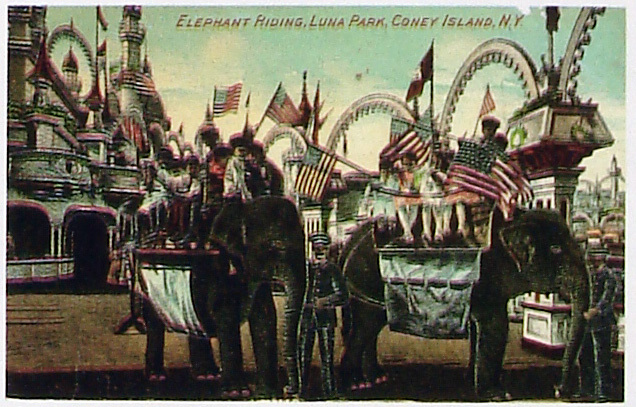 The Luna Park Elephant Ride was a popular attraction. Then one day one of the elephants killed a trainer. They then publicized that they were going to electrocute the elephant because of this deed. 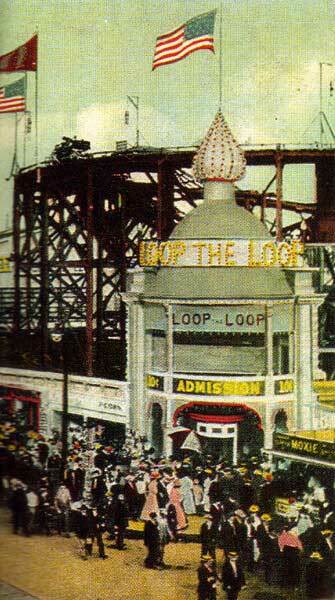 The publicity drew crowds far and wide, but it did not work. Then they publicized it again, saying they would hang the elephant instead. Click here to get the Peapod Promotional Code and get $10 in free groceries with your first order.